No day at the beach is complete without a selection of fun and entertaining beach toys. From Bat and Ball Sets to Crab Lines we've everything your customers will need to have an enjoyable day at the beach whether abroad or here in the UK. No day at the beach is complete without a selection of fun and entertaining beach toys, so if you’re looking to purchase wholesale beach toys for your store then you’re in the right place. Whether your customers are jetting off abroad or heading to a UK beach we’ve a selection of wholesale beach toys suitable for all the family. 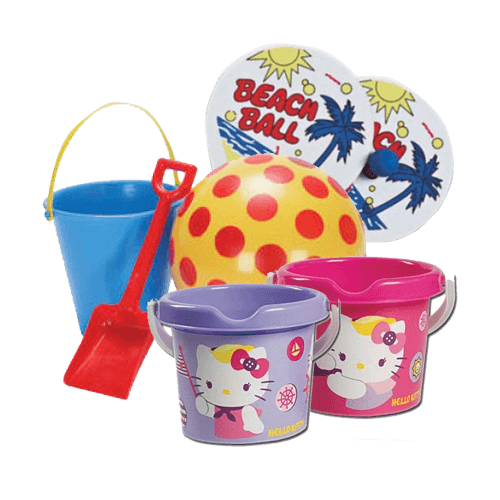 Buckets and spades are an essential beach toy for all families heading to the beach. No matter how old you are you can’t beat building a good old sandcastle and we stock a selection of buckets and spades including Bucket Beach Set 6 Piece, Bucket Set With 28cm Spade & Mould and Bucket & Ball Beach Set Assorted Colours which promise to bring endless hours of fun. For the more active families and those with a bit of competitive spirit in them we’ve a selection of beach bats and ball sets. And for those looking to explore the vast ocean we stock a mask and snorkel set. Help your customers make their day at the beach much more comfortable with a wholesale beach towel, perfect for placing on the floor or drying yourself after a swim in the sea our towels are extremely durable! Wholesale Beach Mats are also a great way of improving comfort and relaxation, they’re available in assorted colours. 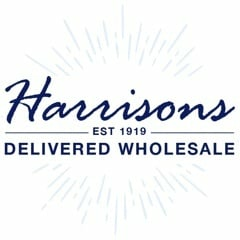 Why Purcahse Your Wholesale Beach Toys From Harrisons Direct? With over 95 years in the wholesale industry we take great pride in offering exceptional customer care along with a timely and reliable delivery service. So if you’d like to purchase wholesale beach toys from a reputable company or require more information feel free to call us on 01254 306840.